If you want to boost the productivity of your crops, chemistry is your best friend. Learning more about plant and soil biochemistry can give you a decisive edge in the fight against pests and microbes as well. This is doubly important in hydroponics, where you have complete control over all the inputs in your grow system. And one common household chemical that can make a world of difference in your hydroponic system is hydrogen peroxide. You are probably wondering what a strong disinfectant/bleaching agent has got to do with growing and nurturing fragile plants in water-based grow areas. There are two major reasons, and a couple of minor ones as well. One is rather plainly obvious, while the others do not come to mind as easily. Read on to find why some hydroponics experts swear by this simple compound. Hydrogen peroxide is a chemical compound with the formula of H2O2. It is the simplest form of "peroxide," which is a family of compounds in which there is a single bond between two oxygen atoms. 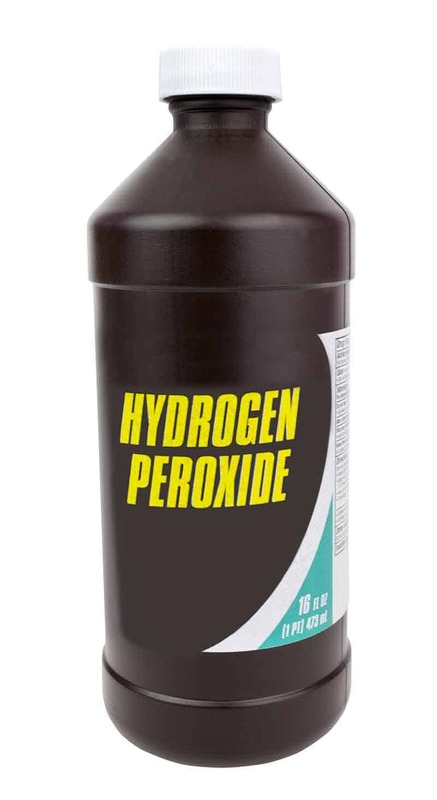 In common usage, we often refer to hydrogen peroxide simply as "peroxide." It is widely used in industries for its paper bleaching ability. At home, it is found in detergents, hair bleaching products, and disinfectants. Peroxide was first discovered in 1818 by Louis Thenard, a French chemist. But due to its highly unstable nature, effective industrial production of this substance would only be devised in the 20th century. In nature, it is fairly common and produced in brief quantities in the human body as well. In concentrated forms, it can be very toxic to humans and animals. But it does have a unique effect on plants which will be dealt with in the next section. Peroxide readily forms hydroxyl radical in acidic conditions. These compounds have a devastating effect on microbes and organic tissues. And peroxide also releases single oxygen molecules as part of its natural decomposition. These oxygen molecules have a potent anti-microbial action as well. Peroxide is known to be very effective against many bacteria, viruses, and common pests. It is even considered environmentally friendly by the FDA. Pure hydrogen peroxide is a pale blue liquid, slightly thicker than water. In simple terms, it is just water (H2O), with an extra molecule of oxygen attached to it in a weak single bond. It tends to gradually decompose into water and oxygen molecules, if not accompanied by stabilizing agents. And for young roots, the ready availability of oxygen molecules is very important to stimulate growth. In many hydroponic systems, higher temperatures lead to a reduction in oxygen molecules in water. This process can be counteracted by using peroxide breakdown. Hydrogen peroxide is acknowledged as a signaling agent in many biological processes. Cell signaling is the constant act of communication between living cells in plants and animals. Signaling agents are specific compounds that have an impact on these communication processes. They may stimulate the cells to behave in a particular way. Hormones are the best example of common signaling agents. Peroxide is known to have some effects on plant defense mechanisms, creating catalase at the roots. The chemical is also thought to increase nutrient uptake by the roots, and other positive cellular effects as well. But research is still ongoing into these aspects. In some wastewater treatment processes, concentrated peroxide was shown to be highly effective in removing chlorine from water. Now, if you have tried your hands at hydroponics, you will already know the significance of pure water. Removing all the chlorine from municipal water can be a difficult process. But trace levels of peroxide should have at least some positive effects on any small quantities of chlorine still present in the system. 1. The molecules break down slowly into water and a single Oxygen atom, a free radical. 2. This free radical is a very volatile agent, which can react in multiple ways. 3. If it comes into contact with an organic cell, like a bacteria or virus, it damages and destroys it. 4. If it comes in contact with another oxygen atom, it forms an O2 molecule. 5. This molecule is healthy essential for the plant roots. 6. The whole peroxide molecule also reacts with any free chlorine in water to form O2 and hydrogen chloride. This is a very important question since hydrogen peroxide is commonly available to us in several different forms. The easiest and probably safest option to handle is diluted hydrogen peroxide solution. It is easily available in drugstores, grocery shops, and supermarkets. This solution is commonly used for topical application and disinfecting surfaces and tools. It is available in 3%, 5% and 8% strength solutions. But this may not necessarily be the best solution, for one main reason. You see, we already mentioned that hydrogen peroxide is a very unstable solution, with a tendency to break down. When diluted to a 3% or 5% solution, manufacturers have to add compounds to keep the solution stable. One common stabilizer is acetanilide, a synthetic compound used in the past as a painkiller and anti-pyretic medicine. Its use was discontinued when toxic side effects became apparent. Now, the effects of these stabilizers on plants and their harvest are not well known. They may not have any significant impact. In fact, in online forums and blog-posts related to hydroponics, you will often find growers reporting no severe side effects to their plants after the use of diluted peroxide solutions bought from drugstores. But if you are a purist, or want to have complete control over the stuff that goes into your hydroponic grow system, you should stay away from these diluted and stabilized peroxide solutions. For proper application of pure Hydrogen Peroxide, you should always use food-grade hydrogen peroxide. As we already mentioned, diluted peroxide solutions contain additives like acetanilide and phenol. These are not suitable for oral consumption. If you want to clean or disinfect kitchen surfaces or food containers, you need a purer form of hydrogen peroxide. Food grade peroxide contains 35% hydrogen peroxide, and the rest is water. It contains no additives and is rated safe for human consumption, but ONLY WHEN DILUTED. For safe use, you have to reduce that 35% solution to 3 or 5% peroxide solutions. You may have noticed that we mentioned diluted peroxide as "the easiest and safest form of peroxide to handle." This is because pure and concentrated peroxide is a very dangerous compound, a little bit like acid. If accidentally consumed, 35% peroxide can severely burn and damage your food pipe and digestive tract. In severe cases, it can even be fatal. Accidental ingestion into your nose and airways can cause similar damages and injuries. This could result in constriction of airways and severe breathing troubles. Inside the body, and in the bloodstream, peroxide can cause toxic effects and cell death. The release of vast amounts of oxygen can create an embolism, literally a bubble of oxygen gas inside your body. Always handle the stuff while wearing gloves. Avoid skin contact by reducing the amount of exposed skin. Keep the peroxide solution containers clearly labeled. Accidental ingestion commonly occurs when people mistake the solution for water. 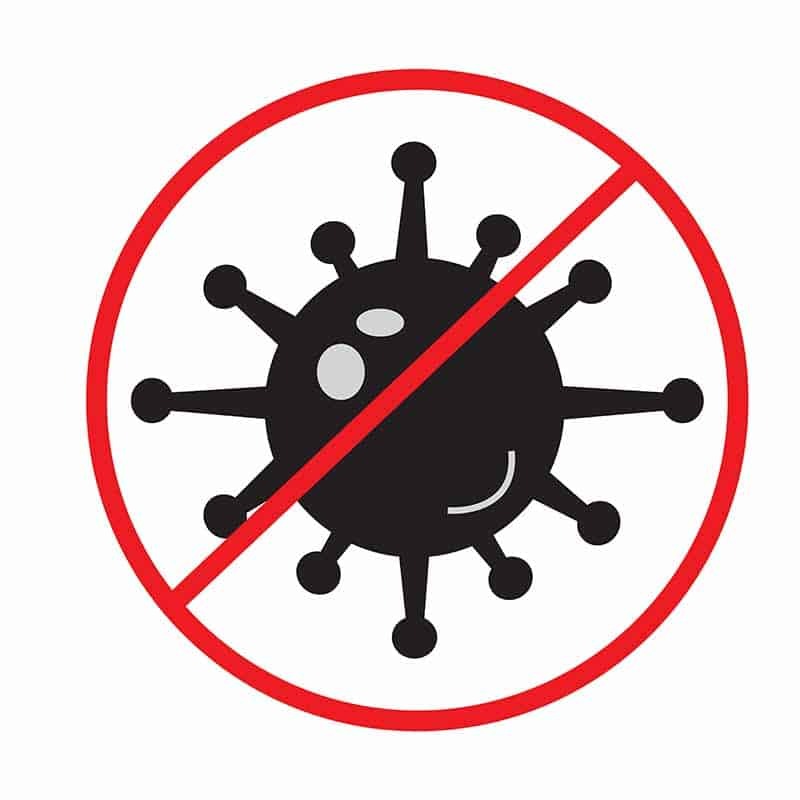 Keep it well out of the reach of kids and pets. This one needs no explanation. You should never add a concentrated hydrogen peroxide solution directly to your reservoir. Always reduce the concentration first by mixing one part of the 35% concentrate with eleven parts of water. So if you take one ounce of food grade peroxide, mix it with eleven ounces of water to get a 3% solution. Always use fresh distilled water if possible for best results. The recommended amount of 3% solution of peroxide per gallon of water in hydroponics is around 3ml per liter or 2-3 teaspoons per gallon of reservoir water. Please note that we are talking about the diluted solution, NOT the 35% concentrated peroxide. Just to be safe, when you start the dosage, add a little less than the quantity mentioned above. Your local hydroponics store may have diluted solutions and proper charts and instructions for mixing the stuff. Each dose should last for around four days. When mixing nutrient solutions, it is best to add the peroxide to one half, and the nutrient to the other and then mix them. 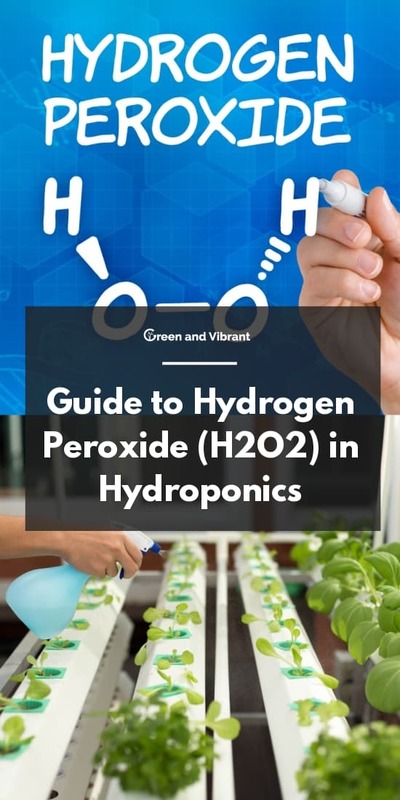 There are some clear advantages to using hydrogen peroxide in hydroponics. But the purely concentrated solution comes with some risks in storage and handling. You have to be extra cautious when adding this stuff to the reservoir water as well. Moderation is a valuable virtue here. But the benefits are in many instances worth the extra effort. Judicious use of peroxide can result in visible improvement in plant growth and yields.